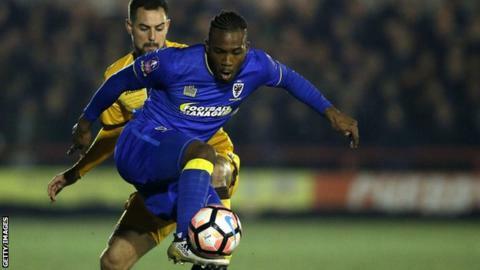 Bradford City have signed forward Dominic Poleon from League One rivals AFC Wimbledon for an undisclosed fee. The 23-year-old, who scored 13 goals in 49 appearances for the Dons last season, has agreed a two-year contract. The former Oldham Athletic player began his career with Leeds United, for whom he played 37 times, of which only six were starts. Poleon, who can play up front or on the wing, joined Wimbledon last summer after a two-year stint with the Latics.